Despite vodka is a "national drink" to Finns, there is a strong tradition of beer in Finland, dating back to the middle ages. Finland is standing 9th in per capita consumption of beer. Here I tried to list the mainstream brands in Finland. KOFF: The oldest but not the best. Despite it has been in production since 1813, I do not favor the "sweet" taste. The only advantage is it is very cost effective (perhaps the cheapest beer in Finland). KARJALA: I found nothing special about Karjala however its name (Karelia, a lost region to Soviet Union after the World War II) recalls some historical sympathy among the old. 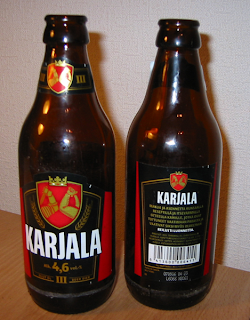 KARHU: The most popular beer in Finland. It tastes better than Koff and Karjala but usually expensive. 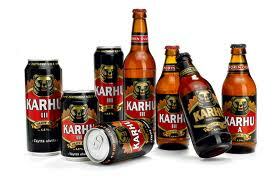 Karhu means "bear" in Finnish, which makes the drink more mascular. LAPIN KULTA: Gold of Lapland, is considered one of the best beers in Finland (not by everyone, for sure) and I agree. It is almost as cheap as Koff. Having a light taste and a proper price, Lapin Kulta is one of my favourites. OLVI: One of the lightest beers in Finland. 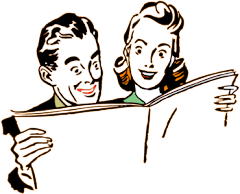 Less popular but sometimes good offers can be found in supermarkets and pubs. 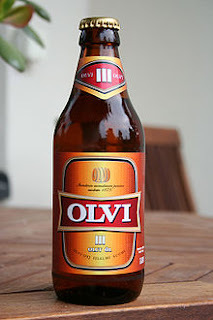 Better than Koff and Karjala but below average (My Finnish friend Mikko thinks Olvi deserves a better treatment). 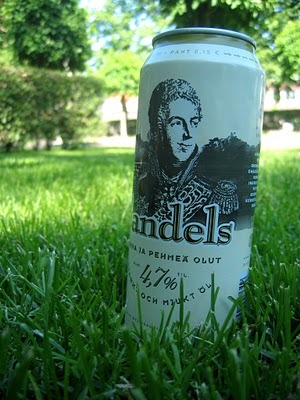 SANDELS: Having Swedish origin (name comes from a Swedish general) makes it the "elite beer" in Finland. Rather expensive and less common. Not satisfied? : Try independent breweries in Suomenlinna or take a ferry to Estonia!